Transpore™ Surgical Tape is a tape suitable for various purposes. This surgical tape manufactured by 3M eliminates the difficulty with tearing off pieces of tape from a large roll due to it sticking to your skin or other objects near it. 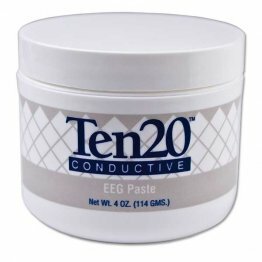 This is because its adhesive is designed to “let go” from objects and fingers. 3M created a tape with perforations running throughout its length, because they know that wrestling with tape from a roll reduces the speed with which treatment may be applied to minor injuries. This handy feature allows you to tear the tape lengthwise or crosswise for quick application of first aid without needing scissors or sharp tools. 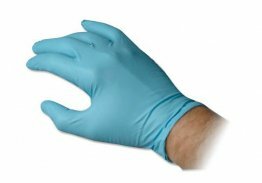 Because the surgical tape is latex-free and hypoallergenic, allergies and potential irritation are kept to a minimum. It is water-resistant, so accidental splashes of water on the tape will not affect its adhesion to your skin. The tape comes in different sizes and numbers of rolls per box. Should the tape size be larger than your needs, the easy-tear feature of the tape allows easy resizing. 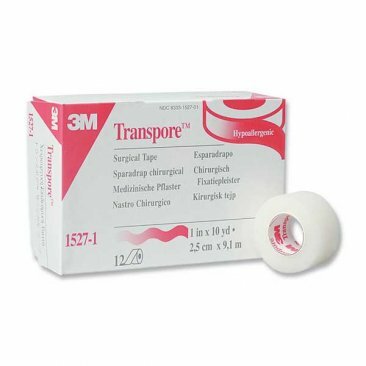 Transpore™ Surgical Tape by 3M Company is truly a necessary medical supply to keep in every first aid kit or medicine cabinet.